MIAMI - March 13, 2019 - PRLog -- Today, participants of Gang Alternative Inc.'s Project RENEW commenced their first week of their Plumbing and Electrical Systems, Industry-Recognized Credential course at CBT College. The group of 11 students –between ages 18 and 24- will complete at CBT's Hialeah Campus the four weeks of training and development to acquire basic skills for the Construction and Building Trade. "This is a hands-on training in our labs, with real scenarios and all the necessary theory for a successful completion", said Luis Llerena, Business Development Director who oversees the strategic partnership with Gang Alternative. "Project RENEW was designed to help young adults to obtain education so that they can gain and retain jobs aligned with selected career pathways. We're proud to be part of these efforts", he added. CBT College and GA have collaborated before with result-oriented courses; first from a group of 20 students who were trained in Microsoft Office Suite, and then with a group of six who became certified as Phlebotomists. RENEW is a free program designed to help young adults gain greater self-sufficiency by ultimately providing placement in jobs that pay a livable wage. The Project RENEW model is founded on evidence-based curricula, approaches and programs and includes ongoing legal support, navigational case management, GED or high school completion, work readiness, soft skills development, and mentorship. 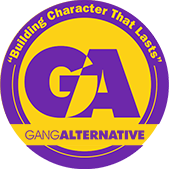 About Gang Alternative: Gang Alternative, Inc. was incorporated as a 501c3 in 2005 as a result of the need to create community-focused outreach and resource development approaches to address the high crime and high violence in Miami-Dade County. It was founded in faith and evolved with the understanding that there is more to ministry work than just teaching "Bible stuff." GA is a community-based organization that is grounded in faith with the continuing purpose of preventing violence and delinquency while promoting self-sufficiency. About Project RENEW: Project RENEW (Rebuilding Efforts, Networks, Education and Work) is a workforce development program funded by the US Department of Labor Employment and Training Administration. RENEW is implemented through the support of Greater Miami Legal Services, CareerSource of South Florida and several social service providers. About CBT College: CBT College provides career training with a focus on technology and sciences at its four locations across Miami-Dade County, including Cutler Bay, Flagler, and Hialeah. Over the past 30 years, the organization has graduated thousands of students into the Miami-Dade county workforce throughout more than 65 graduation ceremonies. CBT College is nationally accredited by A.C.I.C.S., licensed by the Commission of Independent Education and certified by the U.S. Department of Education. The Nation's Top Military Friendly® Schools Announced and CBT College is on the list!